Jewelers Machinist, a thread grinding company for aerospace and commercial applications, developed a unique, patented Gearless Torque Transmission Device, which could be either a speed increaser or reducer. 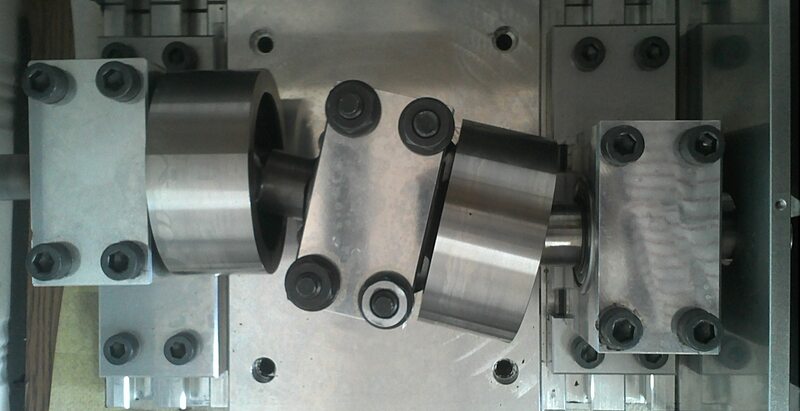 Their design accommodates both skewed and offset shaft motion, and its transmitting principle is the friction created by a pair of rolling balls wedged in a set of races. This customer currently is in the prototyping and testing phase. They have built hardware that clearly demonstrates all the principles and doubles as a test apparatus. They use a lathe for input rotational power and a dynamometer for recording output torque. Some results of this testing has been in the form of understanding the limitations of the physical geometry. They have made some subsequent modifications and are now attempting to better understand the mathematics and kinematics associated with this drive system. Jeweler’s Machinist needed a higher level of engineering support to gain a better understanding of the forces and stresses in order to accurately determine maximum life and to make optimal material selection. This is usually where the customer’s only means of determining this data is through laborious trial and error. DBA reviewed the mechanism in great detail and determined that it had some unique qualities that set it apart from other mechanisms that on the surface look to do the same thing. 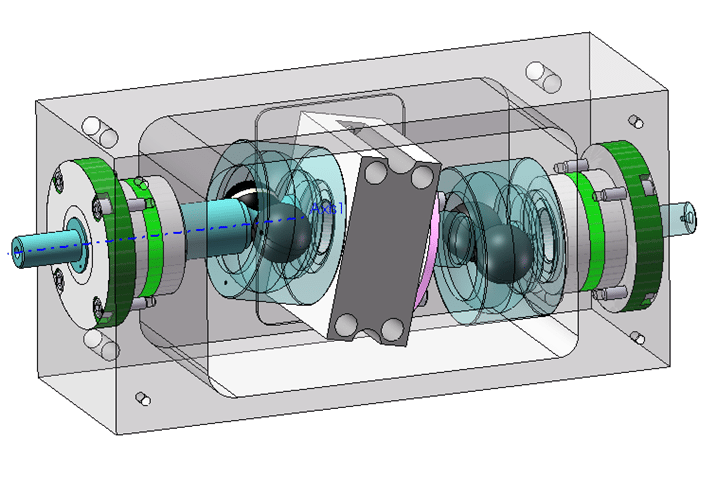 We explained to the customer that although his drive system did not have a closed form solution that we could work with, there was still a procedure that we could develop that will provide insightful information that will help him through his research phase. DBA developed a methodology for determining the static and dynamic contact loads, corresponding stresses, and the life of the mechanism. This methodology is a combination of the mechanics of rolling motion and spherical contact loads determined from COSMOS Motion Simulation study. The COSMOS contacts loads are the key elements that prevent one from applying classical rolling ball motion and Hertzian stress solutions from producing useful information. At this point we were able to develop a closed form program that calculates angular velocities, dynamic stresses, and surface fatigue life of the rotating members. We were able to use these results in conjunction with published material surface fatigue strength data and determine failure modes. With this additional knowledge provided by Design By Analysis, Jeweler’s Machinist has the ability to optimize their design and is one step closer to bringing their product to market with less effort.